The Sailing Education Association of Sheboygan (SEAS) is a non-profit organization dedicated to creating affordable pathways for the community to safely enjoy boating on Lake Michigan. We have worked hard to develop an international reach into the boating community, which allows us to bring quality programs, boats, people and knowledge to the Sheboygan Lakefront. We provide educational programming and access to boats while removing barriers to participation created by financial, physical, or cognitive needs. Education is the foundation of our organization. 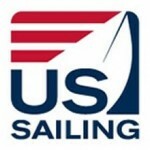 Our classes teach safe handling of power and sail boats utilizing US Sailing’s national standards. In the cold winter months we present on topics such as local maritime history, water safety, the marine industry, marine preservation and teach traditional maritime skills. We partner with other lakefront organizations to build a community passionate about Lake Michigan. SEAS strives to maximize the impact of our donors’ dollars by expanding awareness, training and opportunities in marine and conservation activities through education and outreach. We provide financial assistance to our non-profit partners in order to continue the advancement of boating facilities on our beautiful lakefront. We look forward to a community of boaters enjoying our greatest local asset, Lake Michigan! WE BELIEVE that water related activities are fun, build character, develop mental and physical acuity and should be enjoyed by everyone. To those who share this belief, WE PROMISE to invest our time, treasure, and talents into research, education, and other initiatives to help provide access, training, and education to anyone who is interested-- including those with physical, mental, or financial needs. SEAS was formed in 2012 to facilitate two primary objectives. The first was getting the other boating entities on the lakefront, the Sheboygan Youth Sailing Center, Sail Sheboygan and the Sea Scouts, to work more closely together to share resources and streamline programming in order to reduce costs and overlapping missions. The second was to create more involvement and awareness within the community of these organizations, developing a case for their support. One of the primary goals of SEAS was to get the word out to the community that these programs exist for the general public, not just yacht club members. Although many of those involved in these organizations are yacht club members, the desire is to share our love of boating and offer others a chance to learn about and participate in water sports. We strive to make our waterfront one of the best attractions in Sheboygan county. The Sheboygan Sea Scouts, an offshoot of the Boy Scouts of America, have been around since 1932 and have taught young people boating and boat building skills for the last 85 years. They use kayaks and stand-up paddleboards to keep current with today’s interests. A boat building program for the Sea Scouts is being run out of the SEAS boat storage facility and there are plans to expand this program in the future. The Sheboygan Youth Sailing Center (SYSC) has been around for more than 25 years. While many in the community think SYSC is private and only for teaching sailing to youth, this is not the case. They are open to the public and teach classes for sailors of all ages and experience levels. Adult sailing lessons has been their fastest growing segment over the past several years as community awareness has increased. SEAS is working with SYSC to offer more courses to serve the adult student, adding classes in keelboat sailing, cruising, navigation, and bare boat certification. Sail Sheboygan has been around since 2003. They primarily act as the hosting organization for sailboat races. They were very instrumental in the training and support for women’s match racing in the 2012 Olympics and have a worldwide reputation for holding World Class regattas. They have managed regattas from large one-design fleets like the Lightning North Americans, to World Championships in Women’s Match Racing and Blind Match Racing. In 2017 they will be hosting a Blind fleet racing event and in 2018 they will be hosting, in conjunction with SEAS, the Para World Sailing Championships. SEAS and our lakefront partners work actively with the Sheboygan Yacht Club to provide more offerings and opportunities for the community to get on the water. 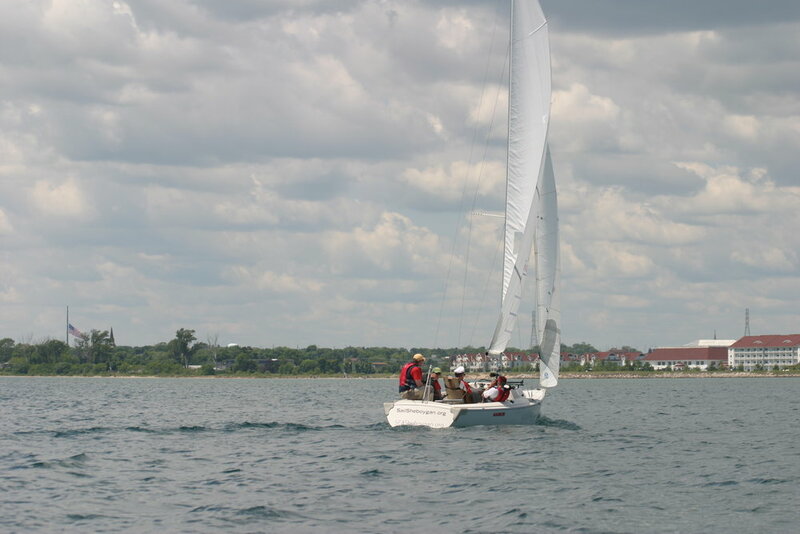 It is SYSC's mission to cultivate an appreciation within the Sheboygan community for Lake Michigan by introducing youths and adults to the sport of sailing and helping them to develop the skills to safely and effectively crew and skipper a sailboat at a reasonable price, thereby increasing the number of sailors on the water and expanding their reach into the community. SYSC's classes range from beginning lessons to advanced race teams for those aged 5-85 and beyond! The Sea Scouts Ship 50 is a co-ed venturing program of the Boy Scouts of America. Membership, advancement and achievement is open to all high school-age youth! Their program is chartered by the Sheboygan Yacht Club to provide a safe environment for venturers to experience and learn lifetime friendship and boating skills by sailing, racing and kayaking. Ship 50 provides the opportunity to appreciate and respect safe boating on Lake Michigan and the Sheboygan River. Sail Sheboygan is a US Sailing Center that was founded in 2004 to promote national and international sailing competition and education. Today, Sail Sheboygan continues to provide professional quality to race organization and management to fleet, team and match racing at all levels. Sheboygan Yacht Club, founded in 1931, prides itself on being the 'Friendliest Yacht Club on Lake Michigan'. With one of the best views on Lake Michigan, SYC is a full-service yacht club with slips for members and transient boaters, excellent cuisine, annual events for members and the community, several nights of sailboat racing each week all summer long and much more.